The Naam Tamilar Katchi will contest all 39 parliamentary seats alone with a 50-50 gender representation. CHENNAI: Naam Tamilar Katchi (NTK) secured just over one per cent of the total votes in 2016 Assembly polls. Experts feel that this party of ‘angry youth’ will increase its vote share in the coming parliamentary polls due to a variety of reasons such as inability of the State to resist unpopular Central Government schemes, anti-Dravidian mood among a section of youth and improved cadre building. The party registered 4.25 lakh votes across 229 constituencies in the last elections with major chunk of votes coming from urban centres such as Chennai, Tiruchy and Madurai where the party secured 2-2.5 per cent of the votes in constituencies there. This has been attributed to the polarisation of community votes and party punching above its weight on social media. But, the fall in data prices and increased internet penetration since the Assembly polls, will be a key factor for NTKs electoral show this time, experts say. The NTK will contest all 39 parliamentary seats alone with 50-50 gender representation. The continuance of this policy of not aligning with either of the Dravidian majors might prove more beneficial than detrimental to its electoral interests, it is pointed out. “The Naam Tamilar’s vote bank is basically those tired of AIADMK, DMK and the two national parties. In the last three years, the AIADMK has proved completely incapable of protecting Tamil Nadu’s interests and the DMK has also not capitalised on it,” said a former leader of NTK who is close to NTK leader Seeman. Youth are realising that both the State and National parties are culpable for serious issues plaguing the State. “Take the NEET issue as an example, it is the INC which planned to introduce it and it’s ally the DMK had initially welcomed it. The BJP implemented it and the AIADMK didn’t successfully resist it,” said the leader, explaining that people have woken up to these truths and are looking for a party without culpability like NTK as an alternative. Further, DMDK and PMK, once considered alternatives to the Dravidian majors, have joined hands with those parties over the years, ceding the space to the NTK. The candidate announcement event in Chennai on Saturday saw an active participation of youth from across the northern districts. “Youth have started coming to us because we are fast paced and unafraid to address key issues and criticise the government. As long as we maintain this, our popularity will continue to increase,” said B Bhaskaran, party’s Namakkal candidate for the parliamentary polls. T Koodalarasan, a senior journalist, said NTK has definitely increased in popularity over the last three years. 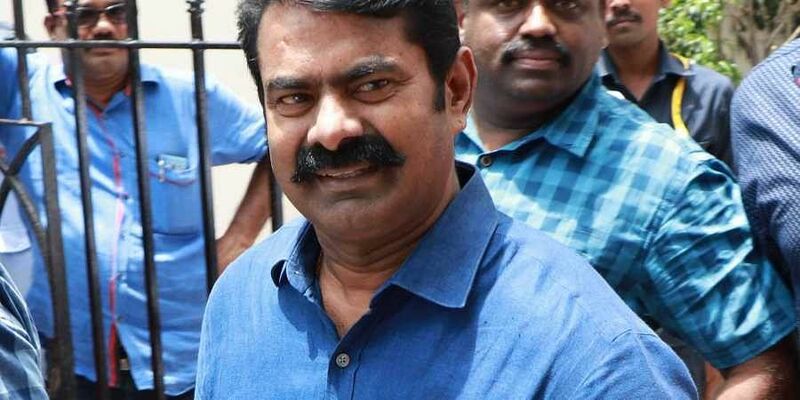 “Seeman has been vocal about key issues and won the hearts of the youth by being an accessible politician. His fiery brand of politics is completely different from other conventional parties and has attracted eyeballs,” he said explaining the party will still be unable to make a significant impact electorally even if its votes increase. One day Nam Tamilar Katchi will rule with full strength. It will happen soon. Namm Tamilar. Good changes required in TN people mind and state. I hope the new emerging parties Naam Thamizhar / Makkal Needhi mayam parties can to do so. It took 22 years to win it's first election.. We may take some time to do so.. NTK will win sooner or later.. It took 22 years for DMK to win it's first election.. We may take some time to do so.. NTK will win sooner or later..